The Hillside is the most unique developments in the Hillview vicinity because it is built on the elevating hilltop, 560 feet above the sea level. The views and breeze are one of a kind in Hillview. The Hillside is close to the Bukit Gombak MRT station and shopping mall in a 5 minutes bus ride. Shoppers can also find the Courts furniture mall and The Banyan tree retail shop further down the road. 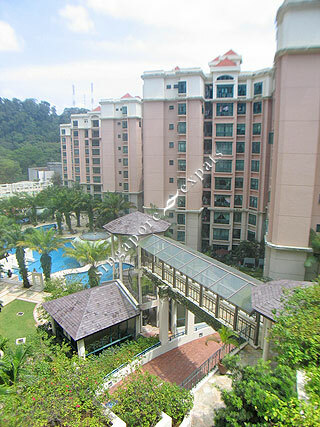 It is also near to Bukit Timah Plaza, Bukit Timah Shopping Centre and Beauty World malls. The Hillside is easily accessible using the Pan Island Expressway (PIE) and the Bukit Timah Expressway (BKE). It takes around 15 minutes to drive to the Central Business District. It is a very spacious and resort living condo for family with children. A great home to rest after a hard day's work. Peaceful and Quiet. Surrounded with greens..